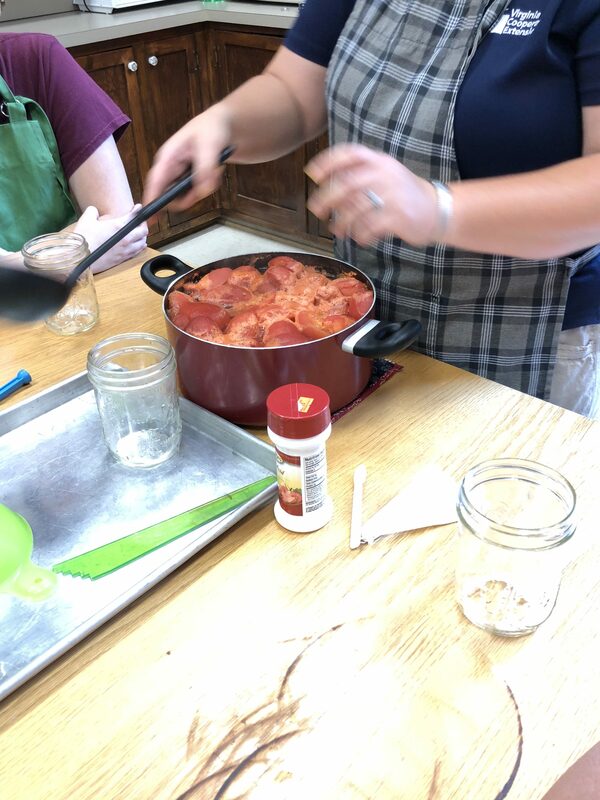 Hot packing tomatoes and citric acid for water bath canning. Getting the bubbles/excess air out of the jars before processing. 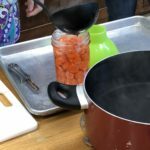 Processing raw pack carrots in a pressure canner. 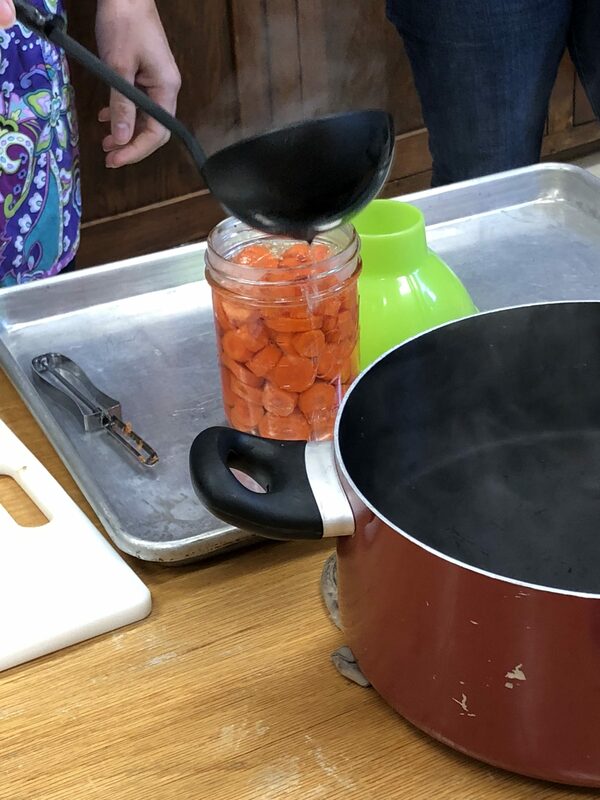 Prepping raw pack carrots for the pressure canner. 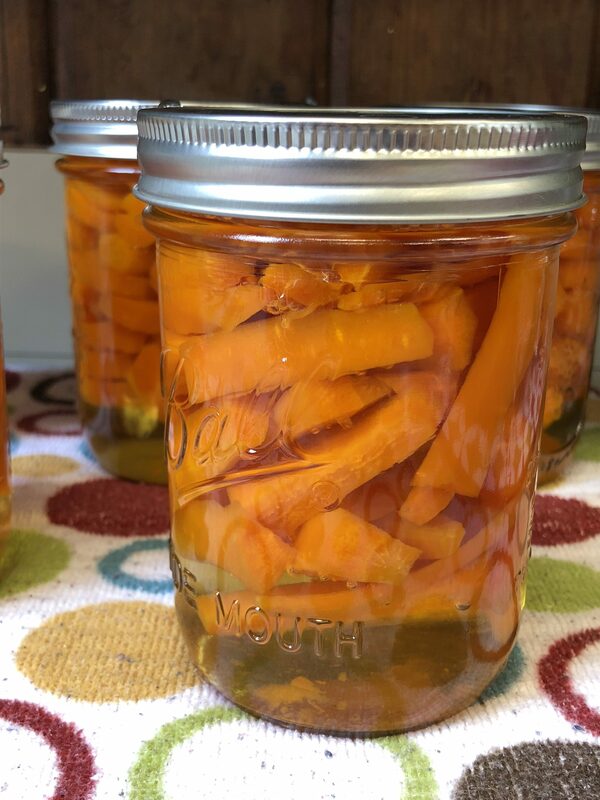 Processed raw pack carrots after their long bath in the pressure canner. Bowl of sterilized lids waiting for their jars. We can “fudge” a lot of things in this life, such as the attribution of the above quotation, but one thing we don’t want to mess around with is food safety. Clean, separate, cook, and chill are the four basics of food safety, and if you haven’t read up on them lately, please click the link and make sure you’re handling food properly to reduce the risk of spreading foodborne pathogens. 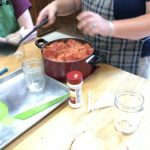 In the summer months especially, when we enjoy a bevy of garden-fresh tomatoes and buy way too many tart cherries at the pick-your-own farm, we want to save all that goodness in a jar and put it up on the shelf for a cold winter day. In the age of Pinterest/Instagram/Facebook and instant gratification that the internet delivers, we want everything RIGHT NOW QUICK NOW NOW! 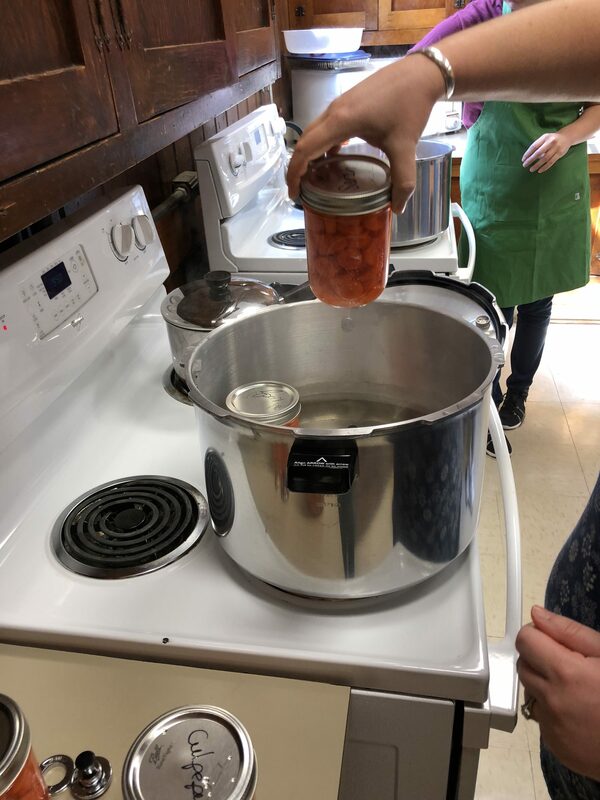 But when it comes to canning, we need to move slowly and deliberately and READ READ READ before canning. 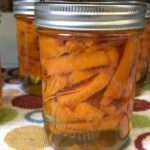 Only use approved recipes tested by the Virginia Cooperative Extension, The National Center for Home Food Preservation, and canning companies such as Kerr and Ball. 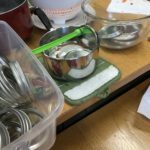 Mise en place, or having all of your cooking tools and ingredients measured out and nearby, is key to making canning sessions run smoothly. 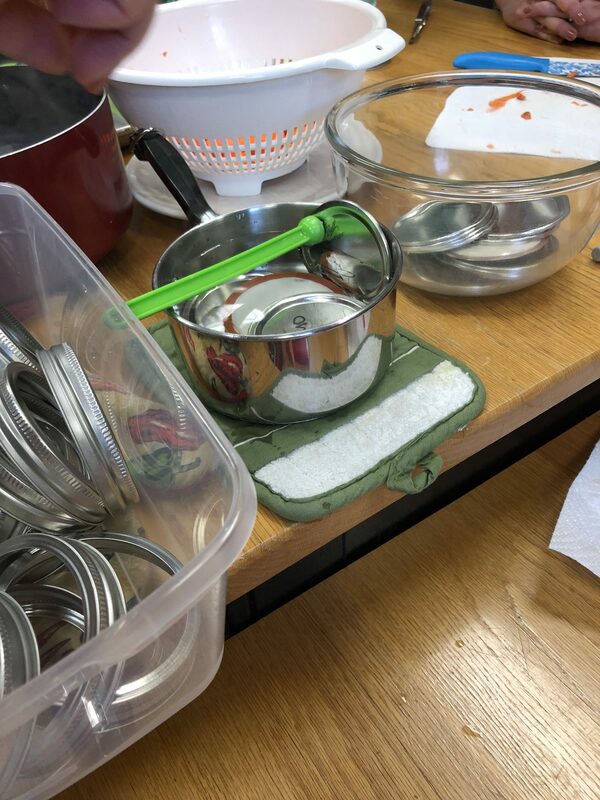 Sterilize lids in a small pot of very hot water that you can access quickly at your workstation. Always store canned items *without* the bands around the top of the jar. Should the seal fail while in the cupboard, the lid will lift and it will be immediately apparent that the food is no longer safe to eat. 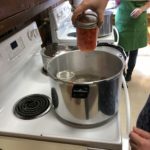 The University of Minnesota Extension offers online tutorials (mini-modules) in food preservation so that you can learn about the principles of canning a “bite” at a time. Do you enjoy hands-on learning opportunities? 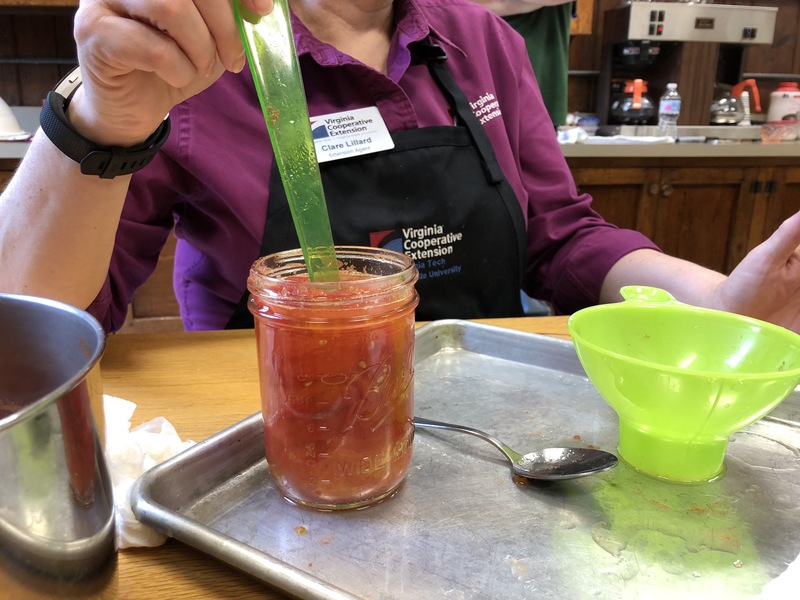 Enroll in a home food preservation class on June 26, 27, and/or 28 in Fairfax, VA, with VCE. 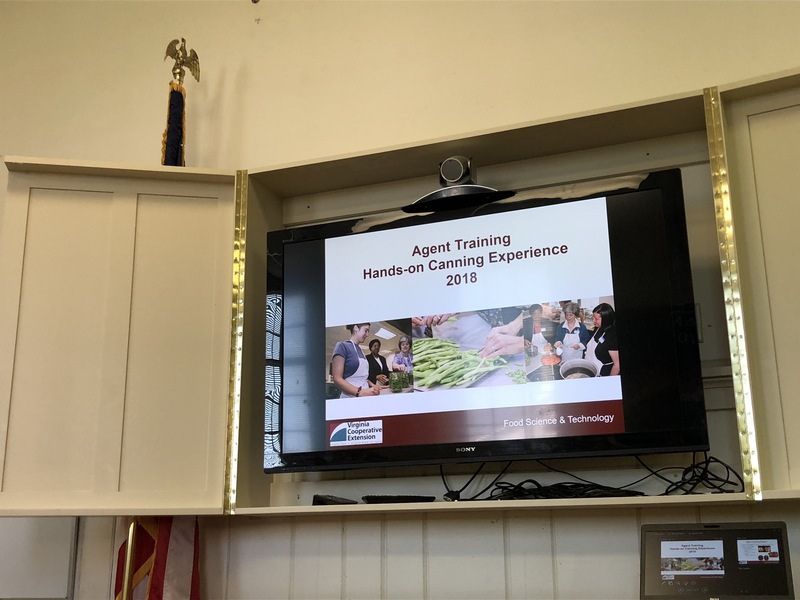 Learn more about the extensive network of land-grant universities and other partner organizations in local communities around the country to help YOU. 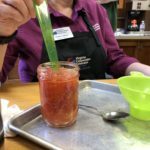 Stacey Viera is a Master Food Volunteer with the Virginia Cooperative Extension (VCE). 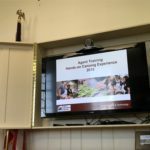 To learn more and become a volunteer visit https://ext.vt.edu/food-health/master-food-volunteer.html.